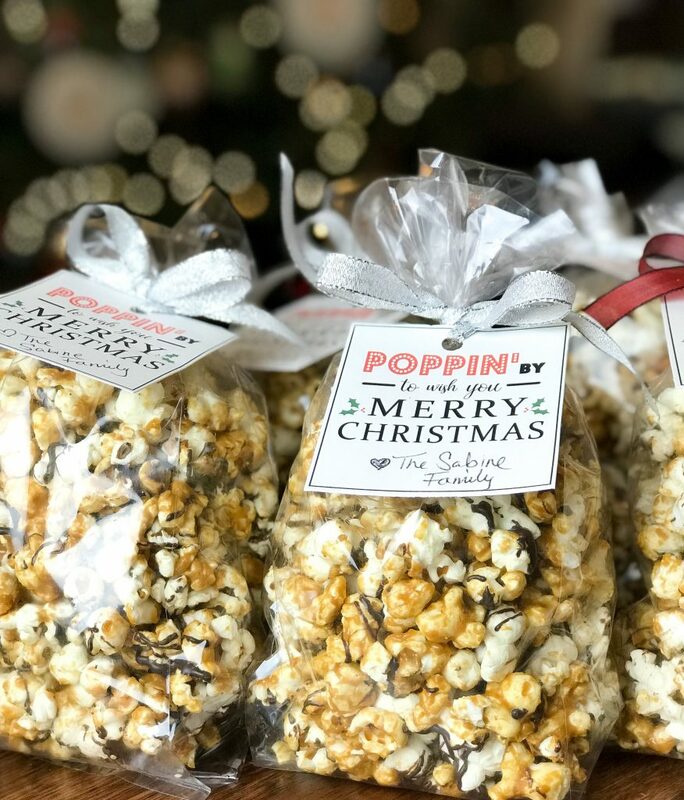 This is a quick and easy gift for neighbors, family and friends during the holiday season. 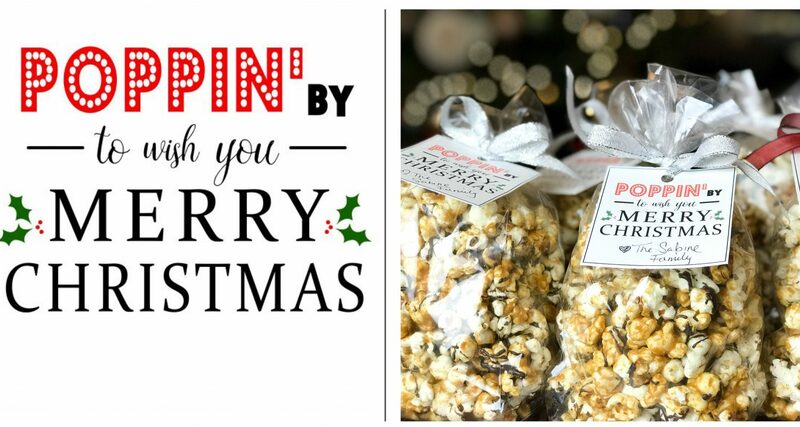 Click on the PDF below to download your free printable of “Poppin By To Wish You Merry Christmas”. 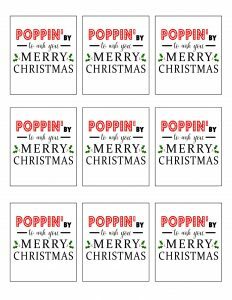 Print out the tags on 8.5″ x 11″ white cardstock and cut out. You can punch a hole at the top to attach with ribbon. We left you a little room at the bottom on the tags to write your name.